Stop by and browse their extensive collection of classic and unique kitchenware. They carry a broad selection of gourmet cookware and items from the best brands. They also love to cook! Join them for a robust selection of classes in their cooking school that are designed to engage and inspire you in the kitchen. And as a locally owned and operated business, they participate with local schools, churches, and non-profit organizations. Their products have you covered from baking to grilling, blending to dicing, and eating to drinking! The Rolling Pin Kitchen Emporium is located at the Brandon Crossroads at 2080 Badlands Drive in Brandon, FL 33511. You can reach them at 813.653.2418 or at www.rollingpinonline.com. The internationally recognized stylist César Lobo has been working hard for two years in the City of Miami. Last August, he opened his new beauty salon at 50 Biscayne Blvd in Miami. Established initially in Caracas-Venezuela for over 22 years, the Salon offers a wide range of services for hair, skin and nails in their new beauty salon in Downtown Miami. Since their arrival in the City of Miami, César Lobo Studio has been involved in a large number of fashion shows including Neiman Marcus and Beach Bunny Swimwear Miami. They’ve also worked with renowned makeup company Palladio Beauty, where Cesar was invited to do make-up and styling for the celebrities of the Real Housewives of Atlanta. In addition, he was invited to participate in the film Miami Love Affair as the image creator for several of the characters. So now you know! If you live in South Florida or Miami you are invited to visit their salon, and obtain a 10% discount on all their services during the month of October 2017! 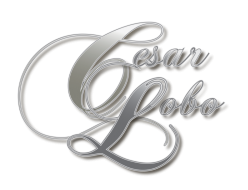 Cesar Lobo Studio is located at 50 Biscayne Blvd. Miami. They can be reached at 305.371.5555 or at www.cesarlobo.com or on Twitter at @cesarlobostudio. The mission at Miami Orthodontic Specialists is to help you obtain the beautiful smile you’ve always dreamed of. They are dedicated to providing you and your family with an exceptional orthodontic experience and they strive to do this by combining state-of-the-art technology with friendly and patient-centered service. They care about their patients at Miami Orthodontic Specialists. This is a place where you can relax and feel at home, knowing that you will be well taken care of. Dr. Carmen Garcia is a board-certified orthodontist who is dedicated to delivering the highest standard of care. She grew up in Miami, and—after over a decade of training—has finally come home to share her talents with her community. Dr. Garcia is committed to using state-of-the-art technology to help you transform the way your smile. She offers the latest in treatment options, including clear aligners and lingual braces. Call today to schedule your complimentary consultation for Invisalign or braces! Miami Orthodontic Specialists is located at 8525 SW 92nd St., Suite B-9 in Miami. You can contact them at 305.407.9000 or by visiting miamibraces.com. Owner Dixie Howell started Dixie’s Antiques 19 years ago and has been in the same stand-alone building in Williston since 2003. With a love for antiques, Dixie has the most unique collectibles, furniture, home décor and more. With both new and older items to choose from, you will surely find a treasure that’s right for you. Old-fashioned service is amongst the many great things you will find at Dixie’s! For more information and to see their diverse collection of great antiques for any occasion, please visit dixiesantiquesfl.com, or visit them at 112 W Noble Avenue in Williston, FL. Gusto Design Furniture has been created to seek a contemporary style. Their collections are handpicked with the intention to achieve functional environments. Gusto’s mission is the complete satisfaction of their clients, which is reflected in the passion for contemporary designs. They are located at 4100 Salzedo St, in Coral Gables. For additional details on all their products and services which include custom designed furniture, visit them on line at: www.gustodesignfurniture.com.